After days of speculation about Irrfan Khan’s health, it is confirmed that Irrfan Khan has been diagnosed with a rare tumour. 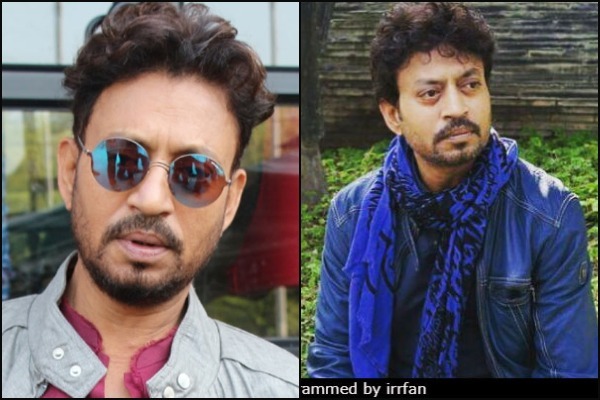 Hindi Medium actor Irrfan Khan himself revealed about his rare disease and said he is diagnosed with Neuroendocrine Tumour on his official Twitter account. Neuroendocrine tumours are most commonly located in the intestine, lungs or pancreas, and can be cancerous or non-cancerous. Irrfan Khan is moving abroad for his tumor treatmen,we do not know when and where to. The director of Irrfan’s upcoming movie Blackmail said that he has insisted the movie to be released on scheduled date i.e on April 4 with the best possible release. Irrfan Khan’s upcoming project with co-star Deepika Padukone is put on hold as actor is diagnosed with Neuroendocrine tumour and soon will be flying abroad for his treatment. We wish great strength, health and Godspeed recovery to Irrfan Khan.